Nursery Rhyme Comics, edited by Chris Duffy, is a collection of fifty nursery rhymes reinterpreted as comics by cartoonists such as Nick Abadzis, Craig Thompson, Richard Sala, Mike Mignola, Cyril Pedrosa, Lucy Knisley, Sara Varon, Kate Beaton, Vera Brosgol, the Hernandez brothers, and Gene Luen Yang – just to name a few. This remarkable list of contributors is bound to get comics fans very excited indeed, and with good reason. The comics we discover in these pages are new-made fantasies spun from the whole cloth of fantasies we thought we knew, the old-chestnut rhymes that beguile in part by sounding so emphatically clear about themselves while in fact leaving almost everything to our imagination. 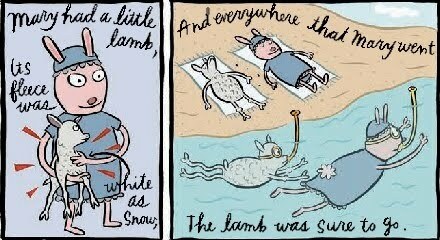 Part of the appeal of nursery rhymes is indeed the pure delight in language they invite, as well as their openness to interpretation. A graphic representation breaks this spell to some extent, but the book repeatedly emphasizes that this is each cartoonist’s particular reading – only one among many possibilities. 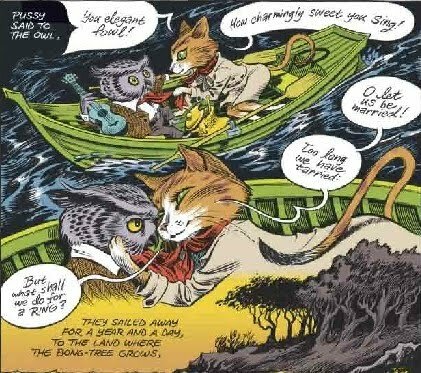 As the editor Chris Duffy puts it, the nursery rhyme tradition is “a tradition of appropriation and change-or, to put it in a way that appeals to the teenage comic book reader in me: It’s a tradition of mutation.” As such, this book is only one more addition to these rhymes’ many incarnations. I enjoyed Nursery Rhyme Comics immensely, but I think readers who, unlike me, actually grew up with English language nursery rhymes will get even more out of it. I was missing the familiarity that would make these reinterpretations even more exciting. In many cases, my knowledge of the rhymes in question only dates as recently as my exposure to them in Bill Willingham’s Fables series. The Lost Lions by Edward Gorey was originally published in 1973, and had been out of print until recently, when it was republished by Pomegranate. As most of Gorey’s work, it can be read in less than ten minutes, though you might want to dwell on the illustrations for longer than that to take in their full detail. The brief story is about a “beautiful young man” named Hamish who one day opens “the wrong envelope” and is propelled into a life as a movie star. Fame doesn’t agree with Hamish, however, and he soon realises that he would rather raise lions in peace. As I’m sure you can gather from the above synopsis, The Lost Lions is eerie and nonsensical in typical Gorey fashion. His particular brand of humour isn’t likely to agree to everyone, but personally I’m a fan. I’m not sure if I’d classify this as one of his best books: at some point it might have crossed the line between delightfully absurd and a little bit too out there for me, though this discussion of the theme of sudden and inexplicable change in Gorey’s work added to my appreciation of what he does here. But all the same, I did spent a very pleasant half an hour with this book. 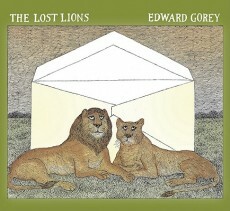 The Lost Lions may be more for Edward Gorey aficionados than for readers new to his work (to those I’d recommend The Doubtful Guest or The Gashlycrumb Tinies), but long-time fans are certain to enjoy it. I can see myself appreciating it more and more with each reread. 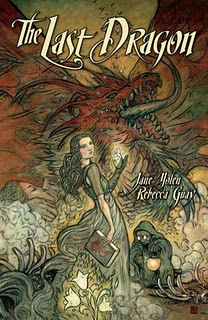 Finally, The Last Dragon by Jane Yolen and Rebecca Guay is a gorgeously illustrated fantasy that tells the story of the town of Meddlesome (thus named “because in the old days it was where those mettlesome folk who did not get along well with others were sent”) and the very last of the dragons who once terrorised humankind. 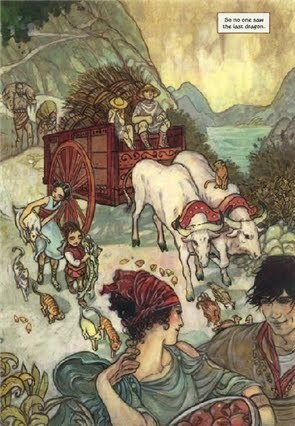 The opening pages of the book immediately establish a classic fairy tale-like tone: we learn the story of humanity’s troubled relationship with dragons; we learn briefly about Meddlesome; and we learn that our heroine will be Tansy, the youngest daughter of the town healer and an apprentice healer herself. The Last Dragon does what it set out to do very well indeed, but in the end I was a little disappointed because the story was too straightforward for my liking. I suspect that more than anything else, this has to do with the kind of story I’ve come to expect from Jane Yolen, one of my favourite fantasy writers. I kept expecting to be surprised; for the narrative to take a sudden turn and go to places I’d never imagined, but that moment never came. There’s absolutely nothing wrong with telling a more traditional fantasy story, I should add – it’s just that I didn’t think this was going to be one. Plus I have to confess that Ursula Le Guin and Naomi Novik have completely spoiled me for dragons. If they’re sentient, I want to hear their point of view. And even if they’re not, I still want to be invited to think about what human dominance over them means. To be fair, The Last Dragon does this to some extent, especially in then opening section, but then the whole thing is kind of dropped in exchange for an unproblematic happy ending. This is of course a matter of personal preference, but I don’t want my dragons to simply be an enemy to be defeated (well, unless the story in question is The Hobbit, in which case I’ll excuse it). I received a copy of The Lost Lions via the LibraryThing Early Reviewers program, and requested copies of Nursery Rhyme Comics and The Last Dragon via NetGalley. 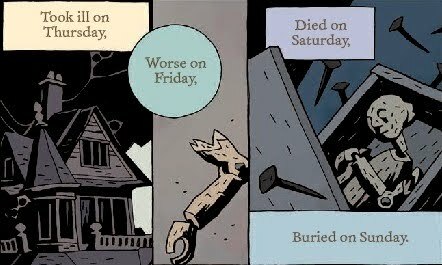 I loved Gorey and would love to check out this book. Declining to be a movie star in order to raise lions? How weird and wonderful! 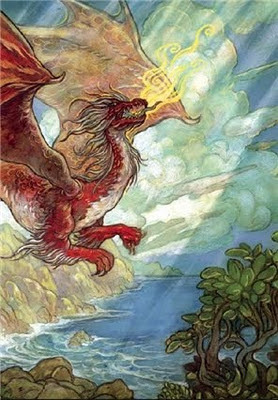 I also like the illustrations on the dragon book, and think my daughter would really appreciate that one. These were fantastic mini-reviews, Ana. I enjoyed them, and was glad that you included the illustration samples! Thanks! ALL of these look and sound fabulous! The Gorey storey (haha) reminds me a little of what happened to Seth in Cold Comfort Farm. 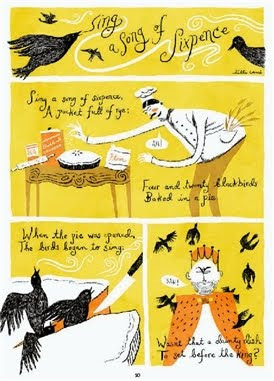 I love the illustrations on Sing a Song of Sixpence -- wow, those are gorgeous. They remind me a little of Maira Kalman. Jenny: Yes, aren't they gorgeous? They make me want to get all of Lilli Carré's books. 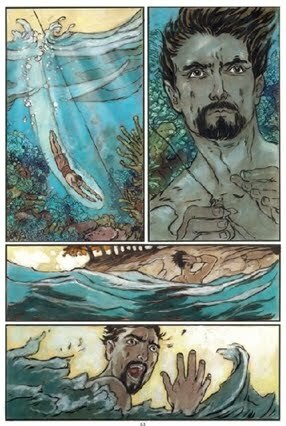 I have to say what I appreciated the most about Yolen's fairy tale is that the princess didn't need rescuing. In that sense, I thought that she strayed away from fairy tale traditions. It ended more like "and they saved each other". 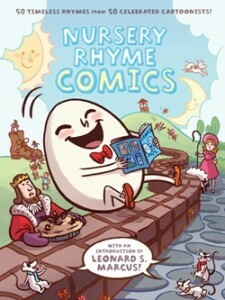 I'm so glad you shared Nursery Rhyme Comics with us as it is immediately going on my "books for Elle" wishlist. I do have a book of rhymes for her (which I usually sing...so now I have my tune for Sing a Song of Sixpence in my head), but the illustrations are definitely nothing to be desired. I think I'll love this one!! Kelly: Aren't they? I wish I had a print version of one of them! Christina: Yes, that's an excellent point. I think the problem for me was the fact that my point of departure for what constitutes traditional is a little skewed at this point, especially when Jane Yolen is involved. I expected her to go even further if that makes sense.